I (Amy) was in the process of writing a missionary book when Bradley came for an extended visit. Together, we finished the research and wrote this book. It is now available on Amazon.com (for 99 cents – although the price may vary for those from other countries) and as a part of the adult missionary book set at nph.com. Africa is often viewed as receiving missionaries, and that is true. Many have come from a great distance and at great personal sacrifice to share the love of Christ. Yet from the earliest days, African Nazarenes have also crossed borders and learned new languages to share the message of Christ with people near and far. 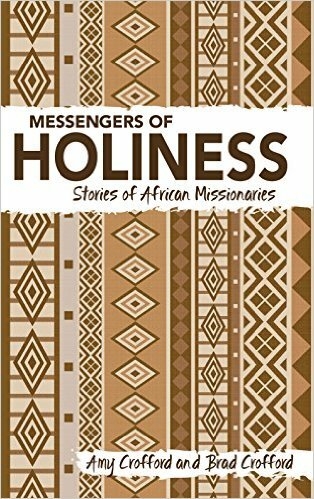 This book tells the stories of Africans who have served and continue to serve as messengers of holiness. We hope you enjoy their stories! A wise man never knows all, only a fool knows everything. Something strange is happening to Christianity. In our accent on God wanting us to be happy, are we losing the Cross? No little loss would this be. No Cross? No Christianity. The Apostle Paul knew the temptation of re-tooling the message to soft-pedal the shame of death on a Roman gibbet. A classic example is his discourse in Athens (Acts 17). Instead of talking about the death of Jesus and what it meant, he spoke in philosophical terms of the “unknown God.” It wasn’t a total failure. Luke reports that “some of the people became followers of Paul and believed” (17:34). Yet this was hardly the rousing success he had envisioned.